New Rochelle, NY, April 9, 2019-A new study has shown that reduced adenosine kinase expression (ADK) in the liver can make it more susceptible to carcinogenic damage and the development of liver cancer. Combined results from the study of human liver cancer samples and mice with reduced levels of ADK expression support these findings, reported in Journal of Caffeine and Adenosine Research, a peer-reviewed journal from Mary Ann Liebert, Inc., publishers. 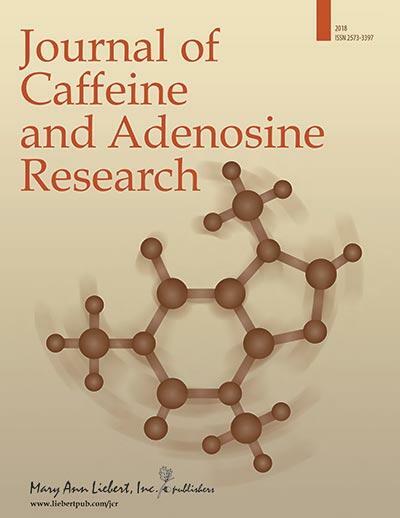 Click here to read the full-text of this open access article on the Journal of Caffeine and Adenosine Research website until May 9, 2019. “These results might represent a very significant advance in the field. Further studies should confirm if adenosine kinase represents a new biomarker or a pharmacological target in liver cancer,” says Editor-in-Chief of Journal of Caffeine and Adenosine Research Sergi Ferré, MD, PhD, and his research colleagues in the Integrative Neurobiology Section, National Institute on Drug Abuse, National Institutes of Health, Baltimore, MD. Journal of Caffeine and Adenosine Research is the first and only journal dedicated to the rapidly advancing field of caffeine and adenosine signaling research. Published quarterly in print and online and led by Sergi Ferré, MD, PhD, Integrative Neurobiology Section, National Institute on Drug Abuse, National Institutes of Health (Baltimore, MD), the Journal addresses the need for an authoritative source on caffeine and adenosine’s role in biological processes. The Journal encompasses all aspects of adenosine, from the molecular structure and function of receptors, enzymes, and transporters, to the biochemistry, physiology, and pharmacology of adenosine signaling; from the physiological role of adenosine in neuromodulation, inflammation, and innate immunity, to its pathophysiological role in neuropsychiatric disorders and cancer. Tables of content and a sample issue may be viewed on the Journal of Caffeine and Adenosine Research website. Mary Ann Liebert, Inc., publishers is a privately held, fully integrated media company known for establishing authoritative peer-reviewed journals in many promising areas of science and biomedical research, including Cannabis and Cannabinoid Research, Journal of Medicinal Food, and Journal of Women’s Health. Its biotechnology trade magazine, GEN (Genetic Engineering & Biotechnology News), was the first in its field and is today the industry’s most widely read publication worldwide. A complete list of the firm’s 80 journals, books, and newsmagazines is available on the Mary Ann Liebert, Inc., publishers website.